As a wise person once said, hindsight is 20-20. 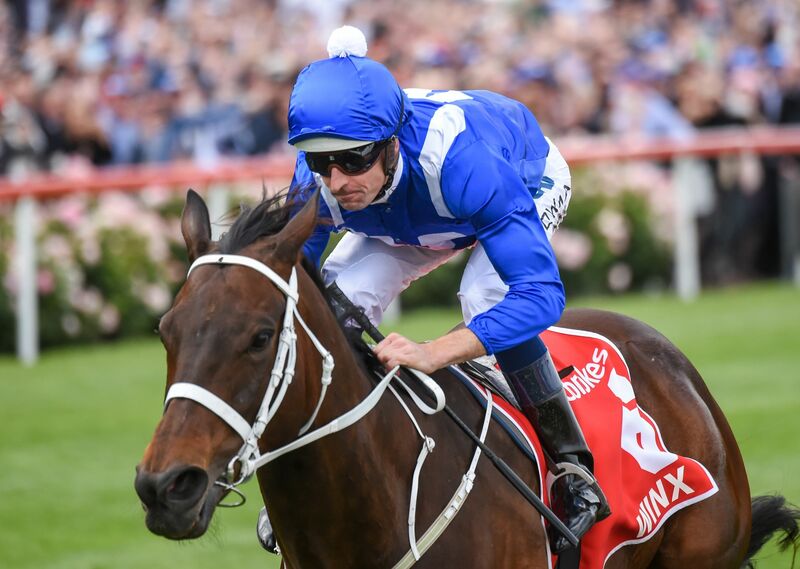 Let history show that on Saturday 27 October 2018, Winx won an unprecedented fourth Cox Plate. It was her 29th successive victory and 22nd Group One win – a world record. Her earnings currently sit at $22,884,924 – the second highest tally for a horse … ever … ANYWHERE. What’s more, Winx is on top of the world, both metaphorically and literally as she is ranked #1 on the planet and has been since the start of 2018. Ironically, we will look back on Cox Plate ’18 and ask ourselves why we ever thought – even fleetingly – that there was a possibility she might have been beaten. But, yes, there were a lot of nervous nellies in the crowd and watching at home, perhaps thinking there could be a chink in the armour (with maybe the exception of the punter who plonked on $160,000 at $1.25 just minutes before the race). After all, Humidor gave her a bit of a scare last year in the Cox Plate, while the Turnbull Stakes just three weeks ago had some of us reaching for the paddles. Perchance we were caught up in the hype from the English media commentator who boldly stated that Winx had only beaten inferior opposition up until now? Let’s forget for a minute he would sell a kidney for his 15 minutes, why did we even take note? Sure, he was, essentially, correct about the ‘inferior’ part, but ‘sub-standard’? Definitely not. Along the way Winx has beaten 69 individual Group One winners and not all of them staked their claim to fame in this neck of the woods. Said commentator’s claims would be refuted in a lengthy dissertation from an actual judge in Steve Moran on the morning of the race, while the normally mild-mannered trainer, Chris Waller, called the nay-sayer, a “bit of a dickhead” (clearly Waller didn’t draw his inspiration from social media which was a little more strident at the suggestion Winx wasn’t the best there is). But the best of the best? The best racehorse we’ve ever seen in Australia? We’re willing to take a punt – at better odds than $1.25 – that there aren’t too many readers out there who saw Phar Lap in his prime and were there trackside on Saturday, but who’s really to say that Winx is better than Big Red? And what about Bernborough, Tulloch and Todman, or for the rapidly aging demographic, Vain, Manikato or Kingston Town? All still have their fans who will take their memories of genuine racetrack greatness to the grave. In more recent times you have the unlikely-to-be-matched three straight Melbourne Cups from Makybe Diva, who – as pointed out by an unabashed fan of both in Bruce McAvaney – she was beaten more times than she won. Black Caviar? Crikey, was it only five years ago that we were saying we would NEVER see another one as good as her? What it boils down to is this … does it really matter who we think is the best of the best. Can we not simply be satisfied that Winx is sublime: a horse with the ability to take horse racing from the back page to the front, a mare that made us cheer, laugh and cry.